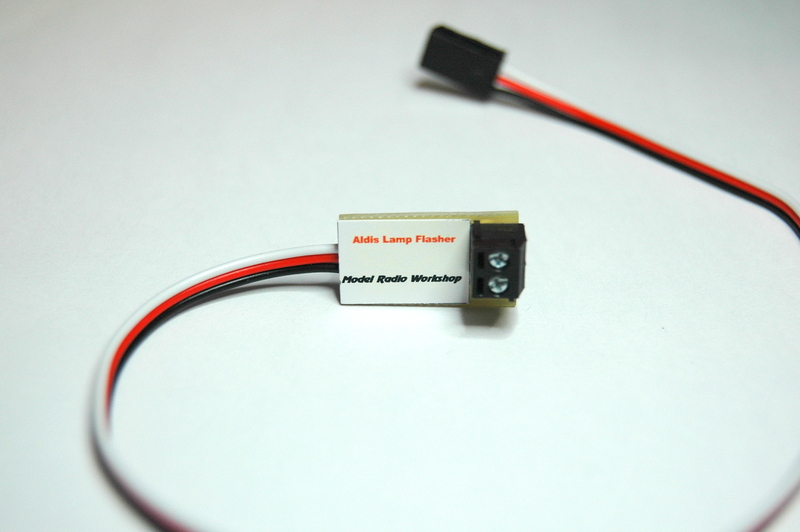 The Aldis Lamp flasher has been designed to simulate the flashing effect of an Aldis Lamp on a ship. The unit has been programmed to flash “SOS” in Morse code. *Light is operated from the receiver battery. *L.E.D or light bulb can be use. Plug the flying lead on the Aldis light Flasher into the selected channel on your receiver. Switch on the transmitter and then the receiver. Make sure that the channel you are using has its end point/travel adjustment set to 100% of movement. If you don’t you may find that it will not switch on and off. 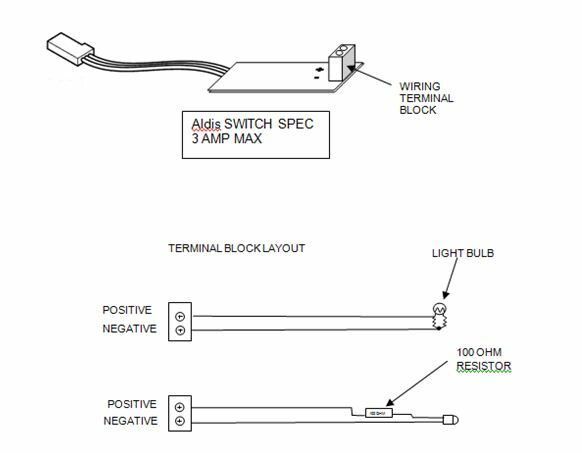 In operation the Aldis Lamp Flasher will start and stop when the switch or stick on the channel is move to the long end (2.00ms) of the channel returns to the centre or greater, i.e. 1.5ms or greater.